Home Culture How Normal Should America Make Marijuana? How Normal Should America Make Marijuana? The new era of cannabis legalization is sweeping across America and a new wave of cannabis consumers are calling for the ‘normalization’ of the plant – but what exactly does that mean? 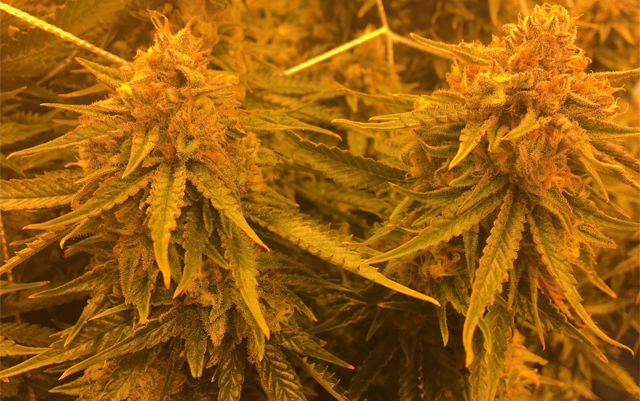 The truth is that through decades of anti-cannabis propaganda and prohibition laws, the historically medicinal plant has gained more than its fair share of haters. However, now that marijuana is state-legal in more than half of the U.S., exactly how normal should America make marijuana? Through real-world examples of cannabis businesses trying to break the stigma of marijuana, two scientific studies on consumer perceptions and a scholarly article on the normalization of cannabis in Canada we can start to see how important policy changes are to normalizing the plant. As the Cannalaw Blog reiterates, “It’s not just that lawmakers and regulators are no longer afraid to have open conversations about how to regulate cannabis or even that politicians no longer feel the need to hide in the cannabis closet.” From using the taxes generated from marijuana sales for public schools and combatting issues of homelessness to cannabis-themed weddings and vacations, many people are adapting to legalization. Veteran cannabis states, like Colorado, have dozens – if not hundreds – of pro-pot organizations, businesses, and associations dedicated to normalizing the plant. There’s even an international organization called NORML, which stands for The National Organization for the Reform of Marijuana Laws. For example, in Colorado there’s the Millennium Grown organization which holds monthly book discussion groups at their Cannabis Literary Society meetings, where consumers can talk about the plant and also partake in a safe and legal space. Also, there’s cannabis businesses like Break the Stigma Fitness, which combines cannabis-friendly workouts, nutritional advice, and workshops detailing nutrition and cannabis therapy exercise to change the perception of cannabis users by representing and presenting a healthy holistic approach. These organizations and businesses are popping up to gather like-minded people in a comfortable space to do the taboo – making a cannabis-friendly lifestyle. Between marketing and policy reform, there is progress being made to create a more positive perception of cannabis around the globe. Three reputable studies taken in the past decade from Europe, America, and Canada together paint a picture of the new view on cannabis. Comparing these conclusions to any decades prior to the new millennium would surely have different results that are biased against marijuana. Sveinug Sandberg’s 2011 study, titled Is cannabis use normalized, celebrated, or neutralized? Analysing talk as action, takes into account the interviews of 100 Norwegian cannabis users and their thoughts on cannabis use. The first emphasized how users were ‘normal’ with statements, such as ‘everyone smokes cannabis’ or ‘cannabis users are not different from others’. The second discursive repertoire emphasized the fascinating difference of both users and the drug. Many cannabis users stated that cannabis was used by ‘free-thinking, open people’ and triggered creativity. The third discursive repertoire was different techniques of risk denial, arguing that cannabis ‘is just a plant’ or that cannabis use did not have any harmful consequences. Comparing the three types of answers clearly reveal the conflicting beliefs on the effects of the drug. 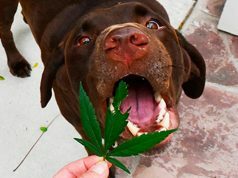 The author of the study cites that “these three discursive repertoires are the empirical foundations for three conflicting theoretical traditions in studies of illegal drugs.” This scientific article argues that all three discursive repertoires can be understood as responses to stigmatization and the conclusion is that the theoretical framework of ‘normalization’ is not the best way to understand cannabis use in Norway and possibly elsewhere. Another study, conducted in the Spring of 2013, recruited 10,000 students at two universities in the Southeastern United States to complete an online survey. The about 2,000 participants that answered the study, which was called Perceived Harm, Addictiveness, and Social Acceptability of Tobacco Products and Marijuana Among Young Adults: Marijuana, Hookah, and Electronic Cigarettes Win. The survey focused on assessing personal, parental, and peer use of marijuana, hookah, and electronic cigarettes. The respondents gave their perceptions of health risks, addictiveness, and social acceptability of each product. Marijuana was the most positively perceived, with hookah and electronic cigarettes coming in second. The study concluded that marketing to the safety of e-cigs and hookah seemed to be effective, while policy changes seem to make the ultimate differentiator for altering the negative perceptions of marijuana. The study was published in the Journal of Substance Abuse & Misuse and added that research is needed to document the health risks and addictive nature of emerging tobacco products and marijuana. The third and final academic paper to be discussed in this article on normalization is another one published in The Addiction Research & Theory Journal. Published in 2012, the article is titled Canadian perspective on cannabis normalization among adults. This article takes up issues of normalization regarding the answers from a study involving 165, socially integrated, adult cannabis users in four Canadian cities. 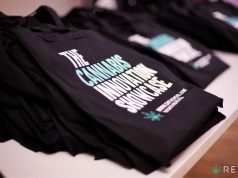 According to the authors, “although some social and personal stigmas remain, our research suggests they are largely confined to the immoderate, ‘irresponsible’ use of cannabis, while more ‘controlled’ use among adults appears all but de-stigmatized.” It’s important to give appropriate consideration to the Canadian research, as they are currently leading the way when it comes to the national legalization of cannabis. Overall, the three conclusions of the studies show that since the new millennium, actions speak louder than words. 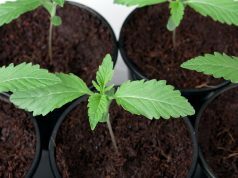 That means marketing efforts to normalize cannabis, while well-intentioned and helpful, are not as effective as policy changes when it comes to normalizing the plant. Also, the reports are mindful that more research is needed into any possible risk factors, like addiction or adverse effects of cannabis, as to appropriately warn the youth. Next articleWill the Battle Over Medical Marijuana Smoking Hasten Recreational Legalization in Florida? As normal as alcohol is! When people receiving government benefits can purchase the plant with their ebt card. Marijuana is nothing like alcohol, but should be in stores across the country so that everyone may purchase. When the prices of Marijuana, an organic plant, are similar to prices of organic corn or greens, then we should gladly say that we’ve reached normalcy. The more potent strands, hydroponics, should be regulated like alcohol, but not the organic strands.